I don’t own a Wii U, and I have only recently become the owner of a 3DS. This means that my knowledge of more recent Super Mario games is limited. 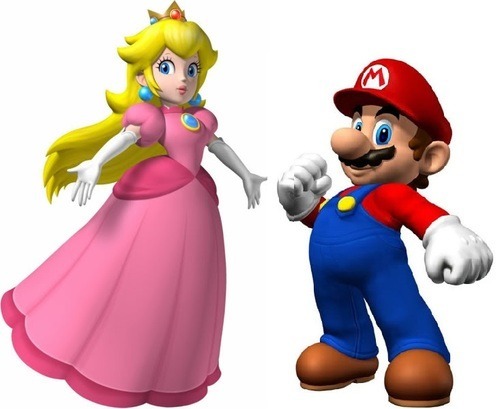 Last week, I discovered a startling fact about Super Mario 3D World – this time Bowser does not kidnap Princess Peach. Now this may not have made waves with you, but I… well I was appalled. How could this happen? How could Bowser do this to Peach? After all they have been through? And after everything that Mario has done for him? What, I hear the voices in my head asking, am I talking about? 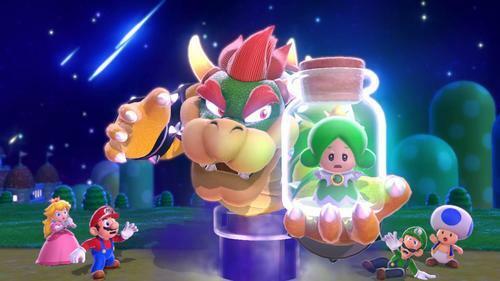 Well, if my long standing theory holds true, then Bowser’s change in behaviour means that he has broken Peach’s heart, and betrayed 30 years of friendship with Mario. Even before the first Super Mario Bros outing, Bowser and Peach have been in love with each other. Both know that this relationship would never be accepted. For the good of the Kingdom, they hid their true feelings. This love, however, only grew stronger the more they were apart. The only other person, who knew this secret, was Bowser’s best friend Mario. Then a plan hatched like a baby Yoshi. Bowser would ‘kidnap’ Peach. Retreating to the sanctuary of Bowser’s castle, the lovers could be honest and open with each other. 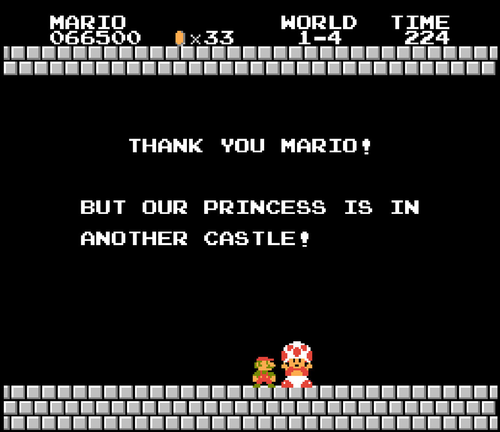 Meanwhile, the faithful Mario would step forward, declaring that he ‘would journey to rescue the Princess’. The humble plumber would put on a good show, appearing to battle Koopas and leap daringly down pipes. At the end of his journey he and his ‘nemesis’ would do battle. With Bowser ‘defeated’, Peach and Mario return home triumphantly. Peace is restored until the two lovers yearn to meet once more and another ‘abduction’ takes place, allowing the duo to once again meet in private. 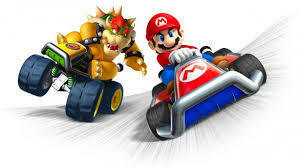 Mario is therefore Bowser’s best friend, secret keeper and possibly the best wingman in history. It’s been nearly 30 years since this story began. To my knowledge, Peach has been ‘kidnapped’ at least a dozen times. It seems to me that if either side was looking for an end to this debacle, it would have ended with the death of either combatant. 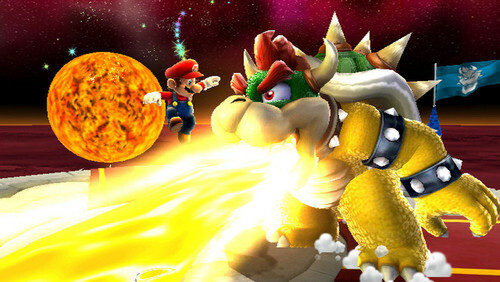 Bowser is bigger and stronger than Mario. He can breathe fire! Instead, the Italian plumber roughs him up and bit, maybe spinning him around by his tail for good measure, before throwing the big bad guy off screen. The theatrics don’t fool me. They might waddle back and forth, give Mario the old evil-eye, but Bowser’s entourage aren’t really putting up much of a fight. Sometimes they might stumble into Mario, but what happens then? Mario trots out an act worthy of pantomime; leaping into the air, eyes wide, fainting. Then, brushing off his overalls, he sets off again. The man puts in a decent effort, don’t get me wrong. He throws the occasional pyrotechnic fireball, and he’s got that snazzy trick with the stars, but it’s clear to me that Mario is pulling his punches. Bowser has a castle. Just the one and it’s pretty distinctive. Yet, Mario bumbles round the Mushroom Kingdom, jumping and searching. “Oh she’s not in this one either? Sigh. I best keep looking”. Mario knows what he’s doing – giving the love-birds as much time together as possible before the eventual ‘final battle’. In the Mushroom Kingdom, Princess Peach is the ruling Monarch. Unfortunately for our two lovers, monarchies must follow strict rules. When Peach marries, she will be the ruling Queen, but she will share power with her King. This is the fact which holds Peach and Bowser apart. How could the people of the Mushroom Kingdom truly accept Bowser as there King? They have always feared and hated him! Even daring to spend time with Peach could cause a dangerous political situation. The ‘abductions’ became the ideal solution. This theory puts all Mario games into perspective. Bowser, Peach and Mario freely meet with each other once the whole ‘kidnapping’ thing dies down. The Go-Karting, the wrestling matches, the sporting events. I’m not the first person to realise this, nor am I the first to address the subject. In Super Mario Sunshine Baby Bowser let’s slip that Peach is his mother (he has often referred to her as “Mama Peach”). Of course, since then all parties have asserted that Baby Bowser was mistaken… but that should not be enough to fool you. Either way, I promise to blog more sensibly in the future…most of the time. ← Which games would benefit from a Zelda weapon?